Chemical Guys Luber is formulated specifically to help you get the most out of your clay bar. 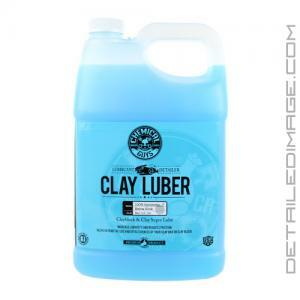 The Luber will lubricate any surface providing a slick, non-stick area to glide your clay across. Simply mist it on the desired area and glide your clay bar side to side. 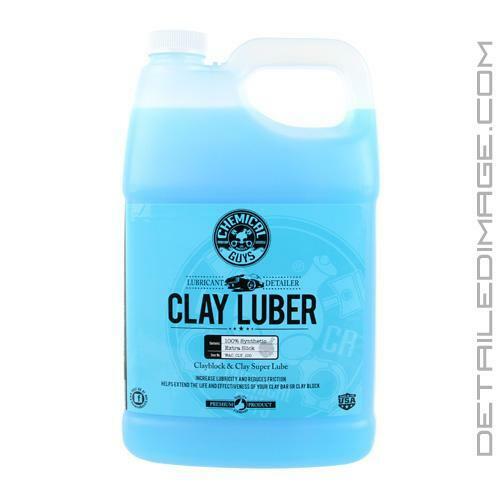 The Luber ensures a slick surface that allows you to use the clay bar quickly and effectively. You can also use the Luber as a quick detailer to clean the surface. If you want to remove a layer of dust just mist it on a microfiber towel or directly on the paint and wipe the area. It helps encapsulate particles so they are removed with ease. It wipes away totally clean leaving no streaks or residue behind. Use it as a clay lube or quick detailer on the paint, clear coat, glass, wheels, headlights and more. Best of all you can dilute this formula 1:1 for twice the value or simply use it as is. Either way you will love the results from this amazing formula, try it today! Luber Synthetic Lubricant & Detailer is a high-lubricity lubricant specifically formulated to increase lubricity and reduce friction. Luber lubricates paint delivering a slick, non-stick surface that is perfect for using any clay bar or clay block. Luber easily lubricates the surface so that a clay bar or clay block is easily and gently glided across to easily remove rail dust, water spots, tar, bugs and paint over-spray from automotive paint and glass surfaces. Luber contains highly reflective shining agents that form an ultra-thin protective coat that allows the clay block or clay bar to work more effectively and evenly on recently waxes or sealed surfaces. Luber is synthetic which means it works exceptionally well on any surface including glass. Always make sure that the surface is clean and dry to the touch prior to application. This is yet another home runner from Chemical Guys. Best price in the 128oz size and works like a charm. Hint to save more is to dilute solution like 1:1 with water which is still great for clay and a quick clean up. Good combination with their Quick Detailer to get weekly refresh and save water at the same time. I will probably go for a quick detailer next time, but I have a lot of the gallon left, so it may still work out well enough to validate replenishing. Per my experience I recommend diluting 1:1 or maybe thinner as a fair residue remained after claying with full strength Luber. Not a big deal, but seemed like rinsing would be wise (I was polishing, so just wiped down and started spinning). Diluting 1:1 worked well as a clay lube and left far less, if any, residue. My next dilution will be 2:3 Luber to distilled water. Bought the gallon and it's nice to have a comfortable surplus of product.